The world of coffee has gone a little bit mad, with brands going to increasingly absurd lengths to communicate the quality of their Himalayan yak milk, when all people really want is a great tasting cup at a fair price. 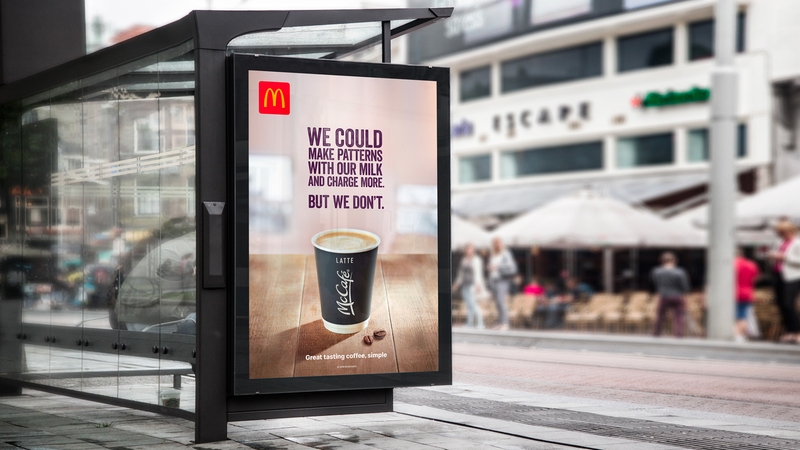 We decided to poke fun at the madness and show all of the ridiculous things McDonald’s could do to talk about the quality of their product if they were as pretentious as everyone else, with this fully integrated campaign. 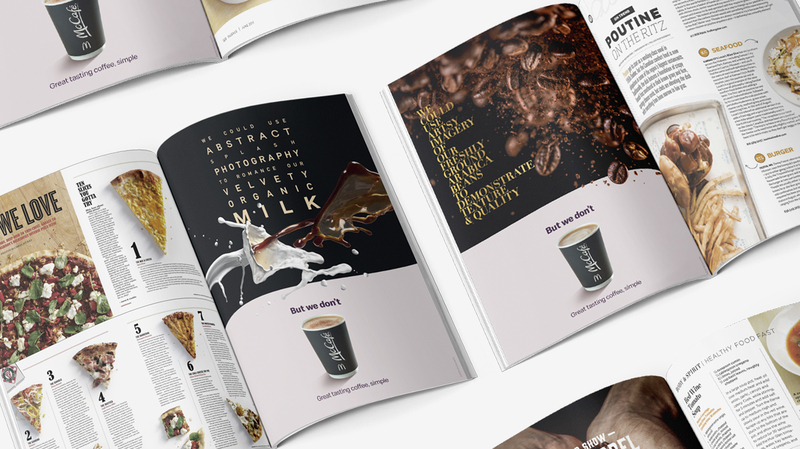 After launching with TV and cinema ads, we expanded the campaign into print, focusing on the kind of fancy foodie magazines hipsters get their well-groomed beards in a spin for. 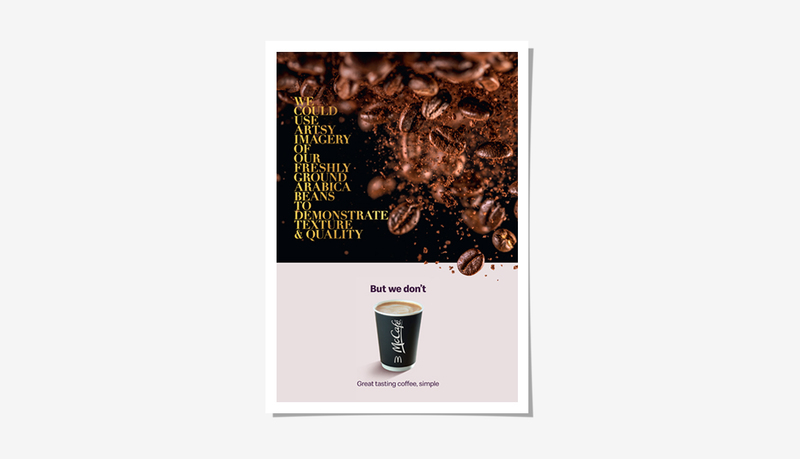 A series of three overly stylised press ads, featuring our take on the various quality proof points McCafé could go on about, but don’t. Robust, robust, robust. 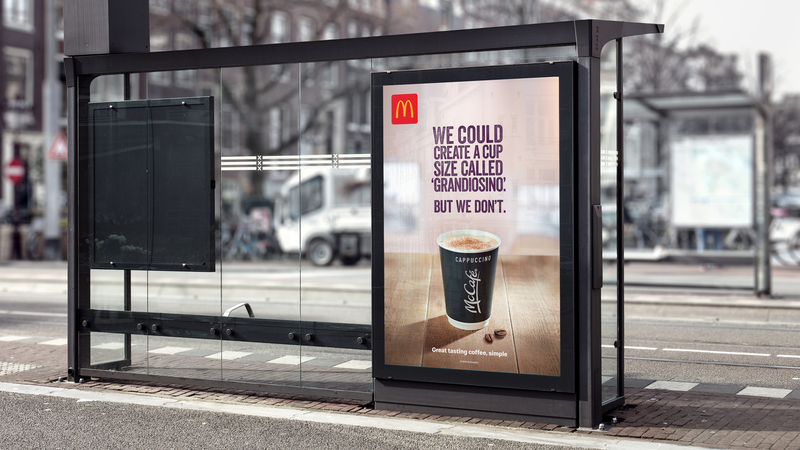 We followed up with a series of radio spots that borrowed from the OTT world of coffee advertising to deliver a quality message in a way only McCafé can get away with. Whether that’s a deep, authoritative voiceover, or a silky smooth, sensual voiceover – we pulled out all the tricks to roast the industry. 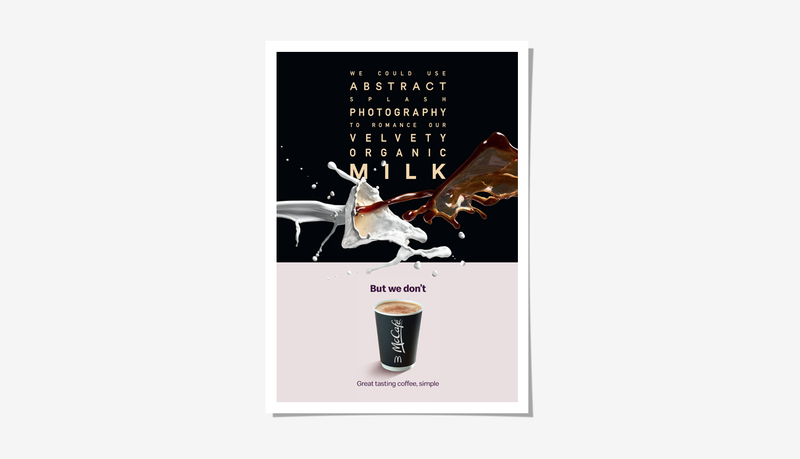 Mass awareness was driven through a number of strategically placed out of home posters, focusing on no-nonsense product photography and simple headlines that would resonate with any self respecting coffee snob on their way to the local independent thrift store. 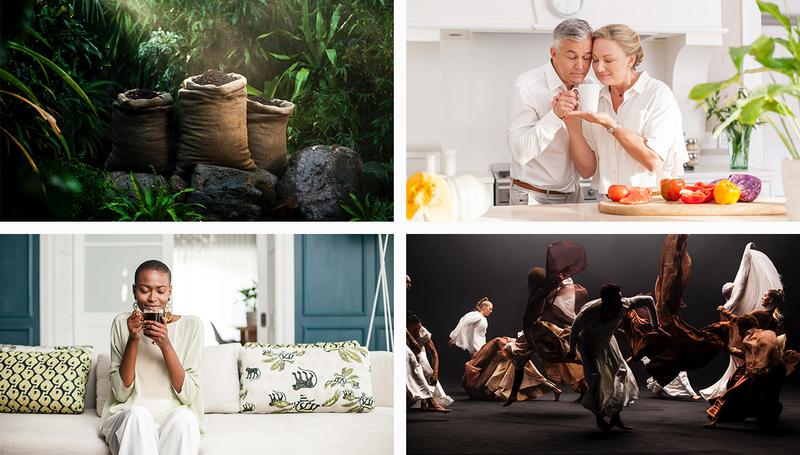 Online, we took over news feeds with a whole bunch of posts designed to appear as the kind of content you’d expect from one of those snobby coffee brands. 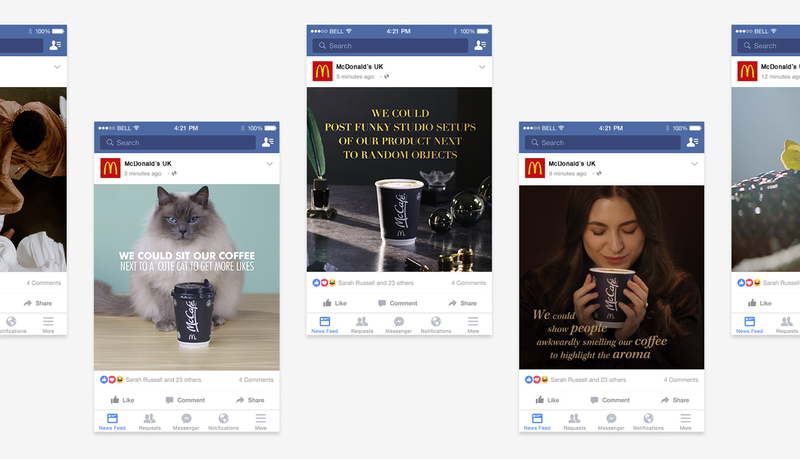 We also re-skinned the McDonald’s website and Insta feed to show what they could look like if we were as pretentious as the rest of the industry. The ultimate kick in the beans. 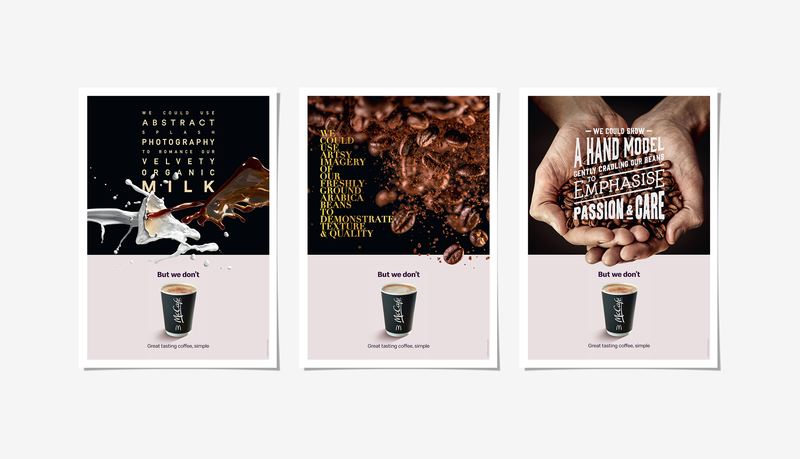 Of course, the campaign wouldn’t be complete without a cheeky dig at that famous American roastery… you know who. 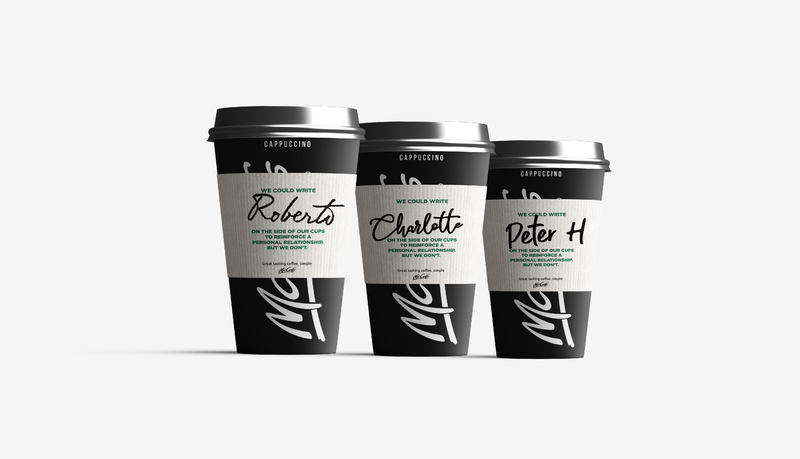 Taking over one restaurant for a morning, bespoke sleeves were made for our cups and crew filled in customers names to order. Because what says we get you like misspelling your name?